Since founded in 1934, Fisher and Paykel have been challenging the standard of appliance design and functionality. They have delivered world-first technologies that will forever change how we live and look at modern appliances. In 2014, they celebrated their 80th year as a company, and they are still looking ahead. Fisher and Paykel’s mission is to turn your everyday routines into memorable experiences; they have a passion for transforming meals into creations, chores into pleasures, and routines into rituals. They believe each product contains a story and that story starts with the consumer. 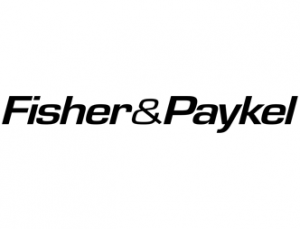 Although Fisher & Paykel is a trusted brand, it too has problems that arise. Warranties will often expire long before repairs need to be made. Some constant complaints include leaking dishwashers, intense shaking from washing machines, dryer door lugs breaking, faulty fridge wheels, control panel replacements, and more. We will repair or maintenance your Fisher and Paykel cooktops, stoves, ovens, washers, dryers, fridges, microwaves, and dishwashers.